eh-hem. 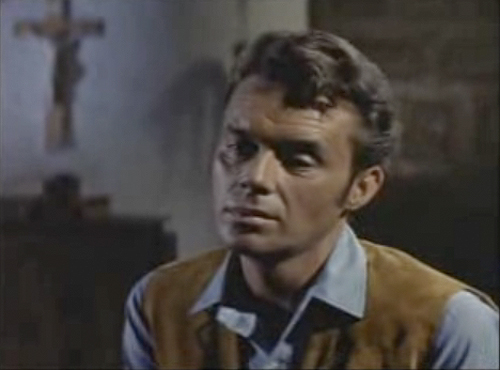 John Mills AND Dirk Bogarde in one film. JACKPOT!! 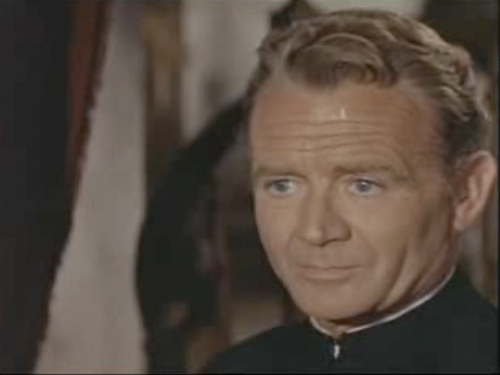 In The Singer not the Song, John Mills plays a Catholic priest who arrives in a small Mexican village to take over for the retiring priest. 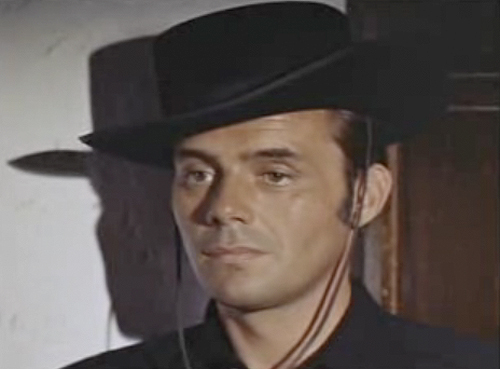 The village is controlled by Anacleto, the town's bad boy played by a leather-clad Dirk Bogarde. 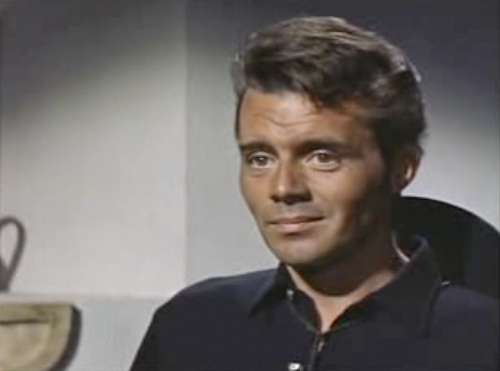 Dirk Bogarde is well known for acting in daring movies, such as Victim - another movie he made the same year as this one, which dealt with homosexuality and actually paved the way for archaic homophobic laws in England to be repealed. This movie deals with perhaps an even touchier subject: atheism. I can't actually recall ever seeing a movie which dealt with this subject before. It's a very taboo topic, even now. While we have quite a few openly gay politicians, there is only one openly atheist politician in the whole country. So for Dirk Bogarde and John Mills to star in a film that dealt frankly with athiesm is, to me at least, as daring as it was for Dirk to star in Victim. The film is groundbreaking, but it's not entirely without convention. 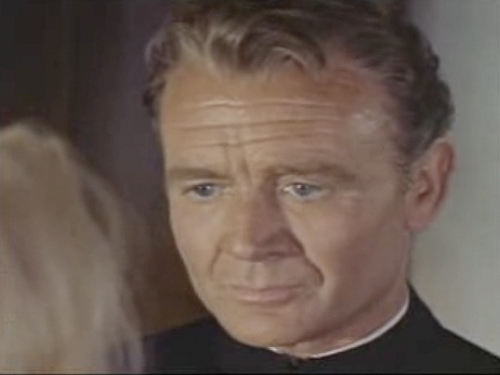 John Mills, as the priest, is still the good man. 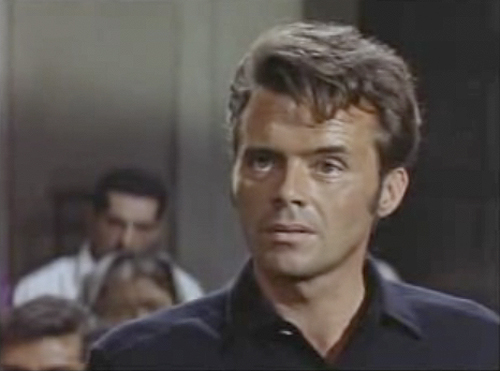 Dirk Bogarde, as the atheist, is still the bad man. But both actors gave performances that made the one dimensional good vs. evil characters more nuanced. The priest has to fight with his inner demons to remain a chaste, pure man. The atheist who cannot trust anyone places his trust in a man of the cloth. I think that whether you are an atheist or a devout Christian, you will see your own beliefs reinforced in this film. The film doesn't condemn atheism (this actually took me completely by surprise. I was expecting Anacleto to fall down on his knees, repent, and become a monk by the end of the movie -- something that would be typical in most films from this era) but it also doesn't comdemn Christianity. It forces nothing down your throat, just leaves the matter up in the air for you to decide. In all honesty, I doubt this film would be released in America today, despite the fact that its message about religion is one of ambiguity not condemnation. I read recently that American theaters won't be distributing a new movie about the life of Charles Darwin for fear of protests. Certainly if a film about evolution (a subject that is discussed in science classrooms across the country) can't make it into theathers, I highly doubt a movie about atheism would! The one funny thing about the film is that, like in The Spanish Gardener, almost all of the Mexican characters are British. This didn't bother me so much, though, as the fact that the one girl in the story (whose parents are both British and who grew up in Mexico) speaks with a French accent! Where did that come from?! Oh! One more thing... yesterday I found that one of the movies I reviewed recently, Cast a Dark Shadow, is available in full on YouTube! It was a really great film, but not available on DVD. So if you have some free time you should definitely watch it! this movie looks very entertaining if not just for the black leather pants! Great post but depressing to hear about the Charles Darwin movie. 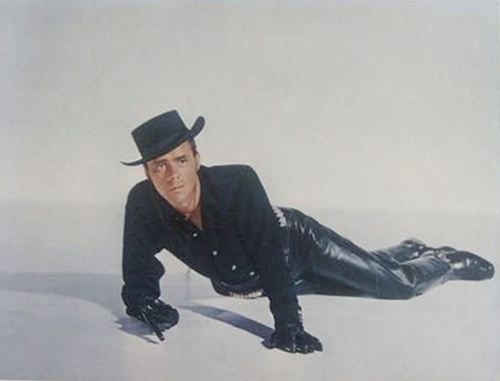 Ever since I saw pictures of him in those pants I totally wanted to see the film the pictures were from. This sounds really interesting - I've never really thought about it but I can't think of any atheist characters off-hand. And I agree that it would have been rather a daring role to take! (And, interestingly enough, I'm re-watching Victim at the moment). I can't believe the film about Charles Darwin isn't going to be released. Frankly, I think that's ridiculous. I really enjoyed this post, because it reminded me of why I love films. It's always good when you come across a film that reminds you of just how influential and significant of a medium it can be. Anyhow, I just came across your blog, but now I am hooked. 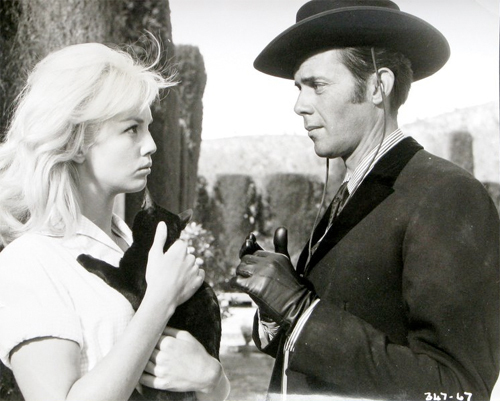 And, I must now go discover Dirk Bogarde for myself. Sadly, he is unknown to me. Oh, and I hope you don't mind me linking you! Odd-- I'd not thought about it until you brought it up, but you're right...don't think I've ever noticed a movie (at least an older movie) dealing with atheism. Interesting. I have to agree it. Given the reaction to the Darwin movie, I don't think The Singer Not the Song would be released in the States today. That is sad, but I think things have become so polarised that religion has become even more taboo than it once was as a subject.